Yoga is well known for its infinite benefits. Whether they’re physical; improving strength, flexibility, building a sweat, recovering from injuries or more on a meditative level promoting calmness, stillness and relaxation. Through the use of Asana we become more aware of our bodies and by incorporating breathing we create a moving meditation that bring awareness of our spiritual self. 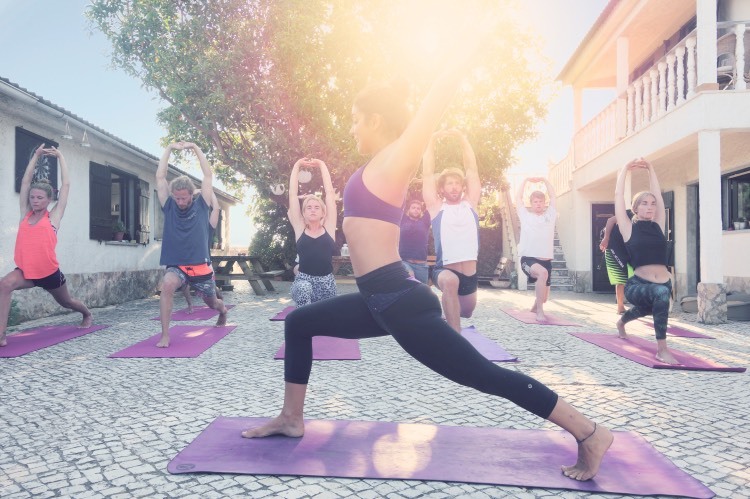 The strengths and flexibility that come from dedicated yoga practice will at one point translate into our everyday lives, changing the way we deal with problems and situations. By practicing yoga you’ll learn discipline and to challenge yourself on and off the mat without taking anything too seriously. 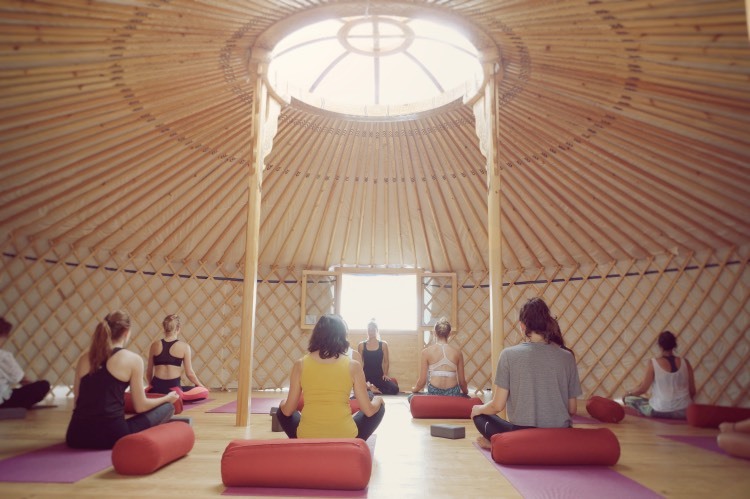 Our 8 walls Mongolian yurt, with its simple and elegant circular space, will support the practice, creating the right environment to find a perfect balance of focus, tranquillity and relaxation. 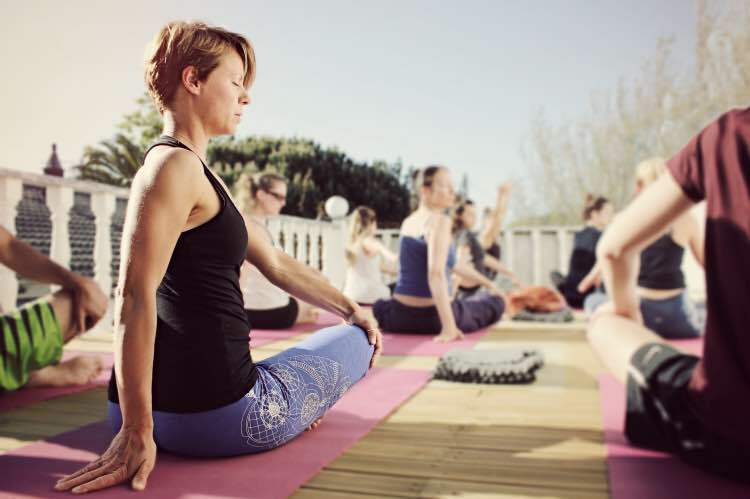 Yin Yoga has a more meditative approach comparing to Yang physical practices, and requires student to be ready to get intimate with feelings, sensations and emotions that may come up from the stimulations of energy points in certain asanas. This style of yoga targets the deep connective tissues and the fascia that covers the body with passive postures mainly performed on the floor and usually held between 3-7min, that challenge the students to ‘sit still’. The Ashtanga Yoga is a style popularized by Sri K. Pattabhi Jois during the 20th Century in Mysore, India, which is often promoted as a modern form of the classical Indian yoga. The name Ashtanga means “8 limbs” in Sanskrit, as described in the Yoga Sutras of Patanjali. Pattabhi created a dynamic method of sequenced postures linked with focused breathing techniques that aim to give a practical experience of Patanjali’s 8-limbed method. Rocket Yoga is a style developed by Larry Schultz in San Francisco in the 1980s. This style is combined by a series of postures based on a modification of the traditional Ashtanga Yoga primary and intermediate series with a strong focus on inversions. This vibrant routine is called the “Rocket” because, “it gets you there faster.” Rocket Yoga is a playful and uplifting style of yoga, designed to wake up the nervous system, create strength, flexibility and balance. The Vinyasa Flow practice is a flowing, dynamic form of yoga, where each movement is fluid and synchronized to a breath. The breath is given primacy, acting as an anchor as the student moves from one pose to the next. In this dynamic practice students are encouraged to flows between poses gracefully, with the support of breath and bandhas. The word “vinyasa” can be translated as “arranging something in a special way,” like yoga poses for example. 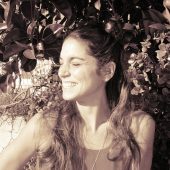 Dorotea Zafferani is a certified RYT 450 Ashtanga, Yin, Mandala Vinyasa and Rocket Yoga Teacher and her style is strongly influenced by her background in ballet and contemporary dance. Dorotea creates tailored class for her students based on their level and ability both on phisical and more spiritual level. She loves to work with music and deliver a real experience to her student more than just a daily practice. Her classes are strong, dynamic, energetic and always incorporate a strong breathing technique. 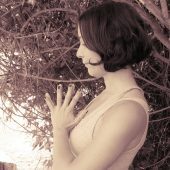 In her classes Dorotea always encourages her students to listen and to bring stillness in their body and mind. At the same time she never forgets the need for students to play and step out of their comfort zone by breathing and creating fluidity within the body. Christine Mack is a 550/YA Vinyasa Yoga Teacher. She did her teacher trainings in 2013 and 2017 at the famous Lord Vishnus Couch in Cologne/Germany. Recently she is taking a training in Aromatherapy. By understanding life as a permanent changing and transforming process, Yoga can find its complete expression. There is not the “one and only” way of practicing, it’s rather a question of what can Yoga do for you in this single moment: this perception and value inspire her work. She would like to invite you to an inner journey, in a place where you can create a little bit of ease and lightness. By observing, feeling and breathing, you bring the attention back into your body, heart and soul. Energy can move and create balance. At Moka on Fridays morning/evening and Saturdays morning. * 90 minutes class with meditation. Allow yourself some deep healing and give a treat to you body and mind! At Moka we give you the chance to restore yourself with a treatment that reduces stress and muscle tension. The goals of our 60 minutes massage is to relax your entire body. It is exceptionally beneficial to improve circulation and flexibility, move toxins out of the tissues, release tension, promote correct posture and improve respiratory pattern. Our massage will re-adjusts your circulatory, eliminatory and respiratory systems, so your body functions holistically, the way it naturally should.